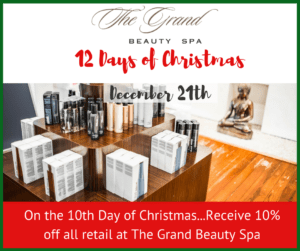 Looking for a Gift that keeps on giving? We have the answer. Join us at The Grand for the 12th Day of Christmas and Give the Gift of Spa! 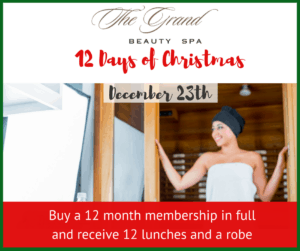 A 12 Month Membership, paid in full for a loved one or friend that also includes 12 lunches and a free Grand Robe! 12 Days of Christmas – Gift Cards and A Gift for You! 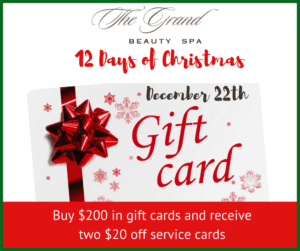 Purchase $200 in Gift Cards and Receive Two $20 Off Service Cards! Need last minute holiday shopping ideas? We have the perfect solution. Join us at The Grand for the 11th Day of Christmas, buy $200 in Gift Cards and get two $20 off service cards for yourself! Worried about last minute holiday shopping ? Relax. 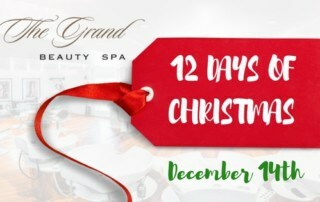 Join us at The Grand for the 10th Day of Christmas and find the perfect retail gift…at 10% off! 12 Days of Christmas – Sue Uemura Gift Sets Plus Something for You Too! Scrambling to get your holiday shopping done? Make it a breeze and get rewarded at the same time! 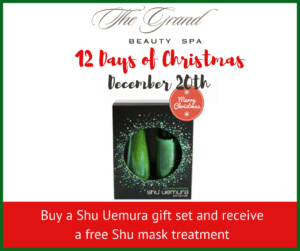 Purchase holiday a Shu Uemura Gift set for a loved one or friend, and get a FREE Shu mask treatment for yourself! Shu Uemura Holiday Gift sets are a perfect gift for a loved one or friend. Give them permission to pamper themselves! Join us for The Grand 12 Days of Christmas! 12 Days of Christmas – Thalgo Gift Sets and Something for You Too! Make your holiday shopping a breeze and get Rewarded at the same time! 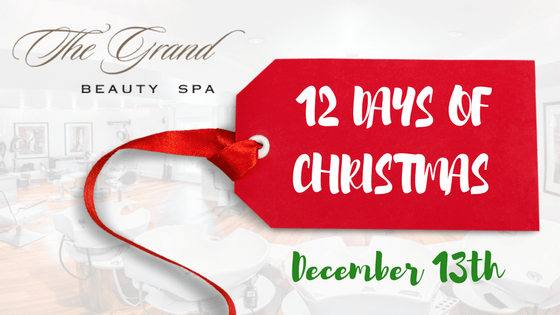 Purchase holiday a Thalgo Gift set for a loved one or friend, and get a FREE specialty facial mask for yourself! Thalgo Holiday Gift sets are a wonderful way to give a loved one or friend permission to pamper themselves! Give them something they will not likely give themselves…Time to relax, and refresh! Looking for the perfect holiday Gift idea for a loved one? 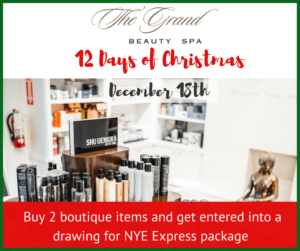 Buy 2 items from our Boutique and you may be rewarded with a New Year’s Eve Express Package for yourself! You’ll find items in our Boutique that are ideal stocking stuffers! When the holidays are over, its time to start taking care of health for next year. 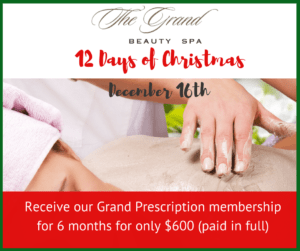 That’s why a Grand Prescription for Health Membership is the perfect holiday Gift idea for a loved one, or to gift yourself! This year, give yourself or a loved on permission to take care of their relaxation and health. 12 Days of Christmas – Gifts Baskets and a Free Blow Dry! The holidays are about treating family and friends to gifts they will love. 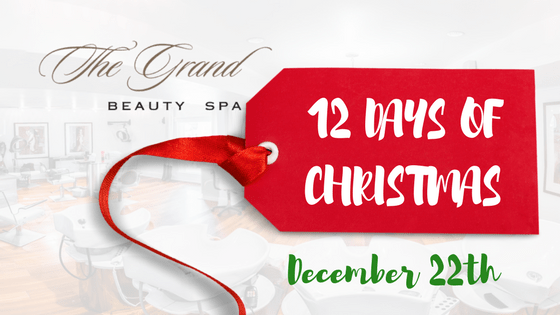 This year, why not buy a custom holiday gift basket at the Grand Beauty Spa as gifts for family and friends. Its the perfect personal gift. And there’s a little something in it for you too! 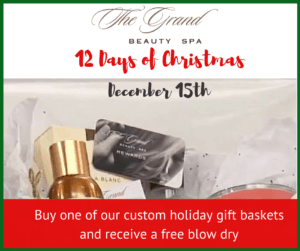 With each custom holiday gift basket, get a free blow dry … a Grand Salon Specialty! The holidays are a wonderful time to enjoy family and friends – and decadent holiday treats! Once the holidays are over, its that time of the year to think about detoxing and getting in shape for the new year. 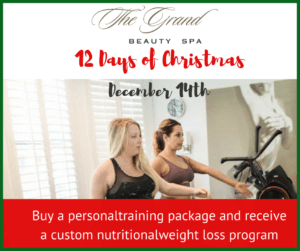 So on the fourth day of Christmas, buy a personal training package and get a custom nutritional weight loss program with our personal trainer and nutritionist Jackie Hawkins. 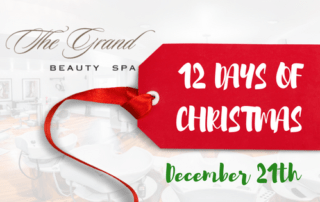 The holidays can be so hectic, with shopping, entertaining and attending holiday events. That’s where we come in. 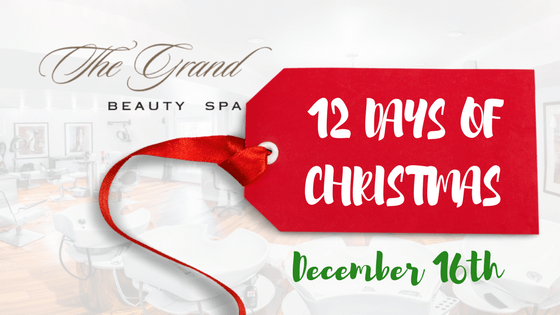 Save time on your shopping with a gift for family or friends and get a little treat for yourself. 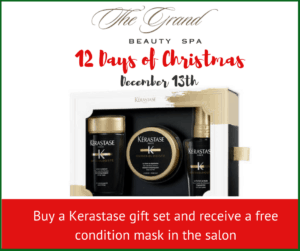 Buy a Kerastase gift set and receive a free condition mask in the salon you can use yourself.